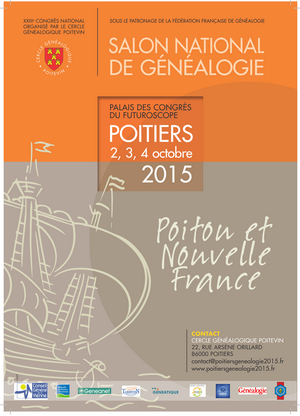 Le congrès de Poitiers (2-3-4 Octobre 2015) se prépare peu à peu ! Pour bénéficier d’un tarif préferentiel, vous avez jusqu’au 30 avril 2015. Le prochain congrés de la fédération de généalogie se tiendra les 2,3 et 4 Octobre 2015 prochain ! On a appris à la fin d’un salon riche en rencontres et en histoires passionnantes que l’édition 2016 du salon aurait finalement lieu du 7 au 9 avril 2016 en lieu et place des dates diffusées précédemment ! Who Do You Think You Are? Live revient en 2016! Publié le 14 avril 2015 CatégoriesActualitésLaisser un commentaire sur Who Do You Think You Are? Live revient en 2016! 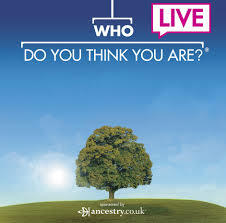 Au vu des succes des ventes des tickets d’entrée de Who Do You Think You Are? Live de cette année qui se tient du 16 au 18 avril 2015 au NEC de Birmingham, la société Immediate Media a d’ores et déjà décidé de rempiler pour l’édition 2016 qui se tiendra donc du 28 au 30 avril 2016, à Birmingham toujours! Opening of 5 new museums in Mons! Publié le 4 avril 2015 4 avril 2015 CatégoriesRecent NewsÉtiquettesancestors, Angels of Mons, Hao Hao, mons, Mons 2015 english, Mons 2015 programme, Mons Belfroy, Mons Family History, Mons Généalogie, Mons Memorial Museum, Mons State Archives, Mons WWI, MOns2015, Pari Daiza, Pari Daiza Panda, States Archives Mons, Visit Mons, Xing HuiUn commentaire sur Opening of 5 new museums in Mons! 5. Yes, no less than 5 museums just opened their doors in Mons thanks to the city being one of cultural capitals of 2015! Those openings have been merged with Mons2015, European Capital of Culture. In a region where unemployment and social problems were more common news than museums opening, this is a very good news for the former fortified city of the County of Hainault. The museums will be opened in the context of Mons 2015 and the least we could say is that Mons 2015 already has its positive effects on the city for visitors for both belgian and foreigners tourists are gathering to the « City of the Doudou »* to explore and discover.My favorite of all 5 has to be the Mons Memorial Museum focused on History and life of the city and his citizens throughout centuries and especially during both world wars. If you like panoramas, you’ll also be able to visit the Belfroy and benefit from a great view on the town. All of the museums are now opened from this Easter week end and there will be special events all over town so do not hesitate to treat yourself to a last minute city trip. Of course, if you wish to have a guided tour of the city, an insight into its history and a link to your ancestors, this is also very possible and you can contact me to proceed (It’s also possible to link it with a visit around Waterloo Battle) . I’m of course more than willing to help you with your Hainault family history and research trips including visits to the State Archives in Mons can be organised! The pick up of Mons as one of the European capitals of Culture of this year didn’t come easy and was much discussed about in the medias an political circles but the city proved the critics wrong and it turned out to be one the best ideas of last decade for the development of the region. More, it gives people inspiration and will to do more and have projects done! The city was already known to host the Saint Symphorien cemetery, final rest place for british and german soldiers of WWI. 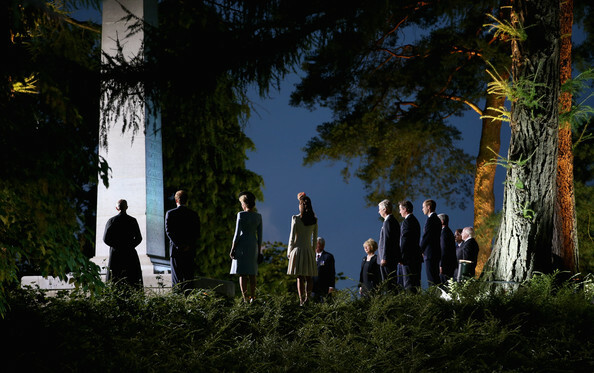 Last August, as the world remembered, HRH The Duke and Duchess of Cambridge, along with HRH Prince Harry paid tribute to the fallen ones in that very same cemetery whose visit is always moving and sad. Those museums, and the city, are definitively worth a visit if you have ancestors coming from Mons and/or if you have ancestors who have been fighting in the battle of Mons in August 1914 you’ll find the Mons Memorial Museum a must. If you have little ones, you can also fit in a visit to Pairi Daiza, the best animal park of Wallonia where you’ll have the opportunity to meet Hao Hao and Xing Hui, the much-loved pandas from China amongst a vast collection of animals in the beautiful surroundings of the Cambron Abbey! The tower dates from 1774 and the monumental staircase (see below) from 1776. And if you wonder what it has to do with family history, this is the right time to reveal that one of my man’s ancestors was a gardener for the cysterian monks at the Abbey and I guess he must be very proud of what the park is now !